The Best Wordpress Themes By StudioPress - Check Them Out Here! You know those amazing websites you see online? Wait no longer, you can now design and customize your own professional-looking and functional website with StudioPress. 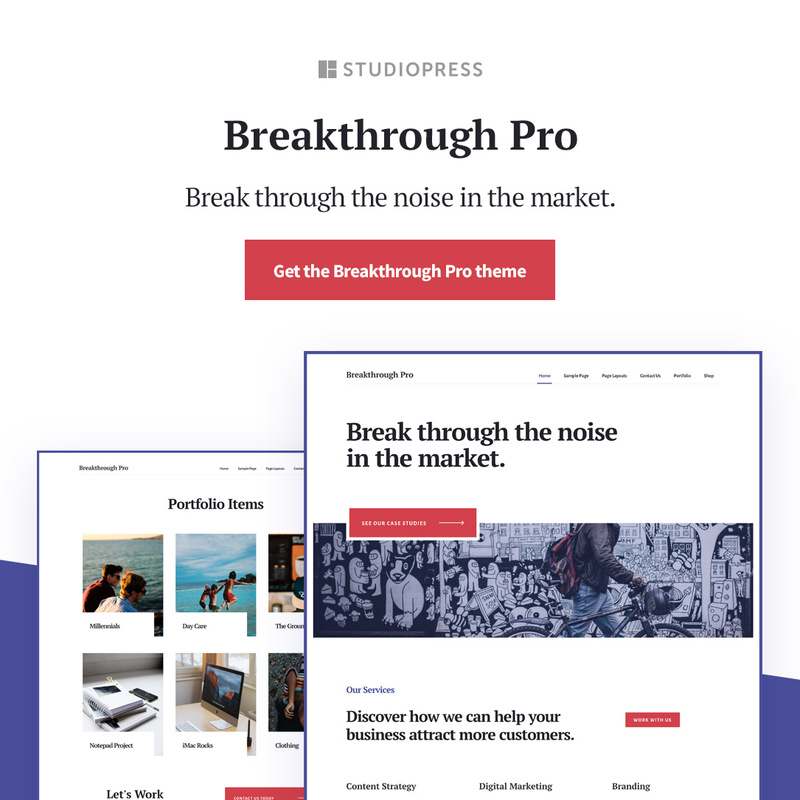 StudioPress is a household name in the world of WordPress themes, and the good news is you don’t need to be a developer, designer, or know any code to create an incredible website. Here are some of the best WordPress themes by StudioPress. StudioPress child themes work in conjunction with the Genesis framework. Here are my separate review posts of the importance of child themes and how to use the Genesis framework. I’ll only briefly discuss them in this post so please read my reviews if you need additional information. StudioPress themes are specifically designed for WordPress. They are built upon the Genesis framework, which is a parent theme, or coding library, enabling child themes to be placed on top of it. This framework, along with a child’s theme, make it possible to select, install, and customize any StudioPress theme in order to create that website you’ve always dreamed of. Genesis is the foundation underlying the child’s theme, which is responsible for the layout and design of your site. Look at the diagram below, simplifying how it all works. As you can see WordPress and Genesis are the workhorses, and the StudioPress theme is what makes it all come together. Ultra-flexible code; this will make your site compatible with future web changes. It also ensures cross-browser compatibility. Mobile-responsive designs; with so many of us using smartphones, mobile-responsiveness is a big deal. You want your theme to look just as fantastic on a cell phone or laptop as it does on a desktop. Super fast performance; Genesis enables quick page-loading times. Slow sites prevent a steady stream of traffic, potential customers, and conversions. Security is rock solid; no need to worry about your site being hacked or exploited as Genesis offers the best security possible. Theme options: change the layout or color scheme of your site by selecting the theme options in the available drop down box. After making any changes, your site will updated automatically. Unlimited updates, websites, and support. This includes the world-class support team, along with the community forum, and updating your site is as simple as checking a box. One of my favorite features of StudioPress is that you only have to buy Genesis and a child’s theme once. You can then use them on as many sites as you want, and when you buy any additional themes, you get them at a discounted price. Also, be sure and take advantage of the WordPress and theme tutorials StudioPress offers. Another great feature is the ability to customize each page on your site individually. This differs from traditional WordPress themes. And because the design of your site (child’s theme) is kept separate from the coding aspects (Genesis), customizing your theme as often as you’d like won’t affect your search engine ranking. You’ll love using the widgets, they make it fun and easy to add functionality to your site, and don’t worry, no coding experience is necessary. Widgets make it possible to add a sidebar, footer, opt-in forms and social media sharing buttons. 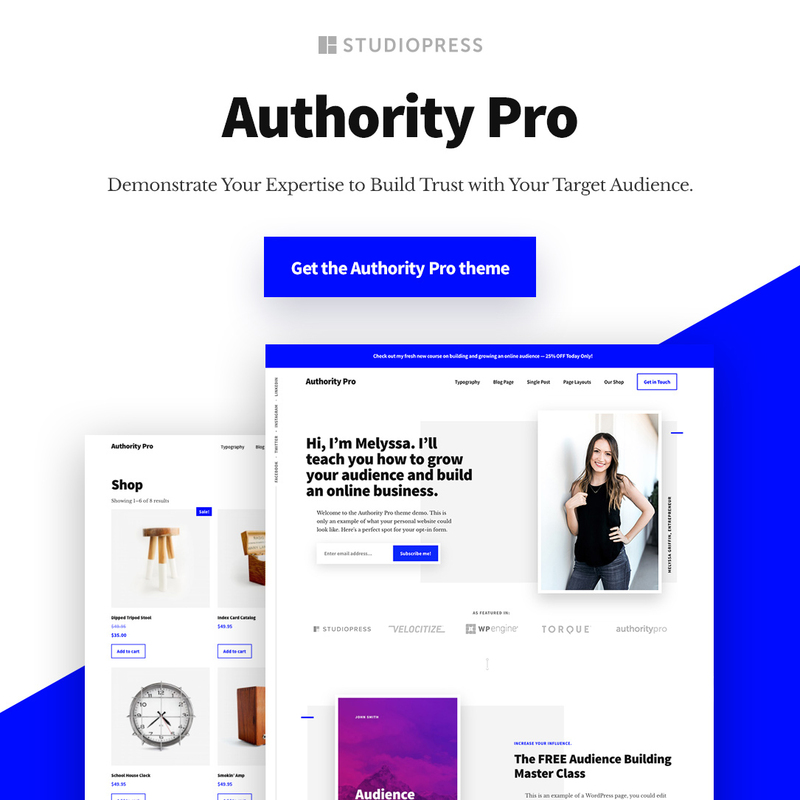 StudioPress themes come with three custom widgets: a “user profile,” displaying your own personal Gravatar, your bio, and a link to your About page. The “featured posts” widget displays excerpts from your posts, and the “featured page” widget displays the contents of a page, along with a thumbnail. Then there’s the Genesis plugins that add even more functionality and design to your site. Genesis themes are compatible with all WordPress plugins as well so you’ll never have a shortage of tools to use. Here’s a list of the 16 plugins developed by StudioPress. If you’re having trouble settling on a theme, there is the option to buy the whole bundle. The StudioPress Pro Plus All-Theme Package give you access to the entire library of child themes, as well as, future themes that are yet to be created, and know that you can use a StudioPress theme as is, without spending countless hours customizing it. If you want a custom website, but you’re not up to the task, you can outsource it to StudioPress’s reliable freelancers. They can help you achieve the look you’re after. They can also design a site from scratch depending on the look and feel of your brand. As you can see, the drop down menus on StudioPress’s theme page, allow you to choose what features you want in a theme. Choose between the various options to see which themes meet your criteria. Don’t lock yourself into certain themes by how they look as you’ll be customizing them to your liking, and keep in mind that a photography or business theme can both work just as well for a niche blog. As an internet marketer, I use Wealthy Affiliate’s hosting platform. You can read my review of this incredible community here. You can also host your WordPress site through the WP Engine All-In-One plan. Not only will you get website hosting, you’ll also receive the Genesis framework and over 35 StudioPress themes. This is a great deal, especially if you have multiple sites or are a website designer or developer. The Genesis framework is $59.00. You can buy it here. 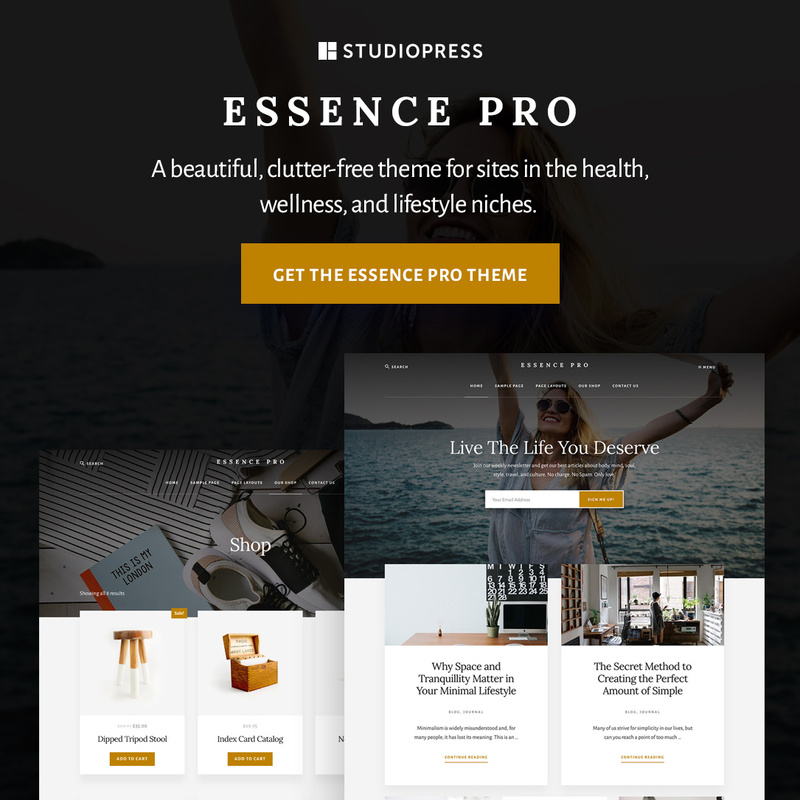 StudioPress themes vary in price, but many of them will cost you $129.00, which includes the Genesis framework, so you’re paying $70.00 for the theme itself. Remember you can use the themes on as many sites as you want, and any additional themes are discounted. Genesis only needs to be purchased once. Don’t forget to use the “Live Demo” function to preview any potential themes you’re considering purchasing. The Pro Plus All-Theme Package costs $499.00. I know, gasp, but when you see what is included, the price seems pretty reasonable. You’ll get more than $1,700.00 worth of the best WordPress premium themes out there, saving thousands of dollars, while also having access to third-party themes. Once you have bought the framework and a child’s theme, they will appear in your StudioPress dashboard. All you need to do from there is press the blue download button, download the zip file to your desktop, and upload it to your WordPress site. Activate the theme and you’re ready to start working on your site. Here are eight Genesis themes worth checking out. They all have a price tag of $129.00 and include the Genesis framework. Agent Focused Pro, however, is a little cheaper, and will run you $99.95. This gorgeous theme includes a palette of dynamic colors, and a minimalistic, modern layout. It’s designed with advertising and marketing agencies in mind. Breakthrough Pro is pre-styled for WooCommerce, and is a good choice if you’ll be selling products. The theme includes nine widget areas, along with a widgetized sidebar, a customizable header, and a theme customizer. This last feature lets you see your customizations in real time. It also comes with a landing page, pricing page, and portfolio. You can buy Breakthrough Pro here. This theme is for you if speed is a priority. Foodie Pro is one of the fastest themes available, and you’ll have the option to choose between three different color schemes. You’ll also get six layout options, a custom header, and featured images. The theme is mobile responsive, and optimized for a variety of browsers, screen sizes, and devices. Widgets and Genesis plugins increase your site’s functionality. This theme comes with three homepage widgets, along with five additional site-wide widgets. You can buy Foodie Pro Here. Is your niche in the health, wellness, or lifestyle arena? If so, Essence Pro should be a contestant in your theme choices. Designed for simplicity and clutter-free, this theme focuses on the essentials. Customize your site using the six different widgets included within this theme, as well as the customizable header, and various theme options. Essence Pro is perfect for online stores and eCommerce sites, and also comes with a landing and pricing page. You can buy Essence Pro here. 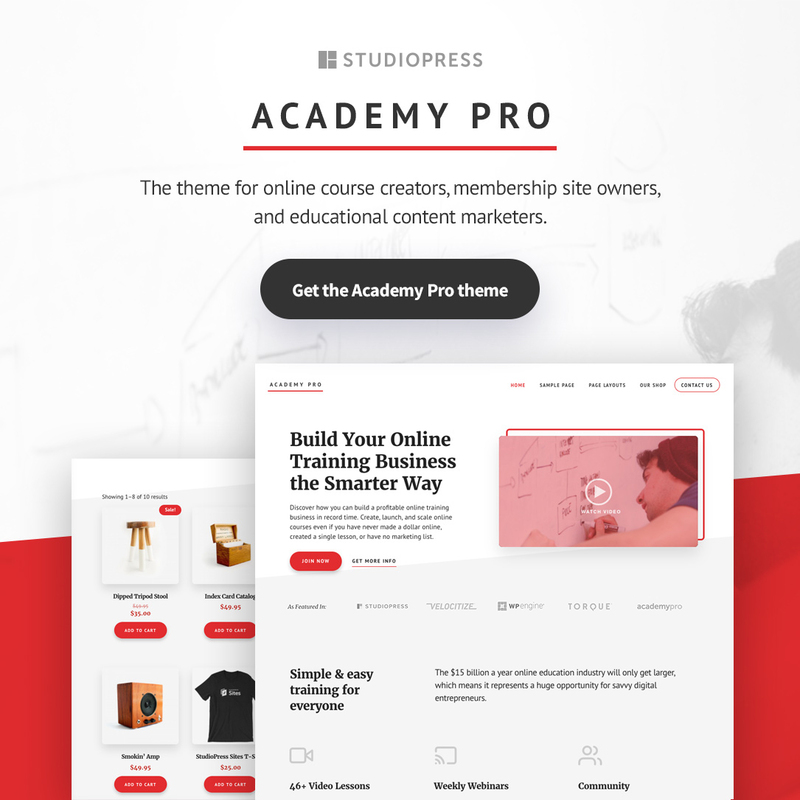 Academy Pro is the ideal theme for educational content marketers, online course creators, and membership site owners. Promote what you’re offering and showcase your authority with this mobile-responsive design. 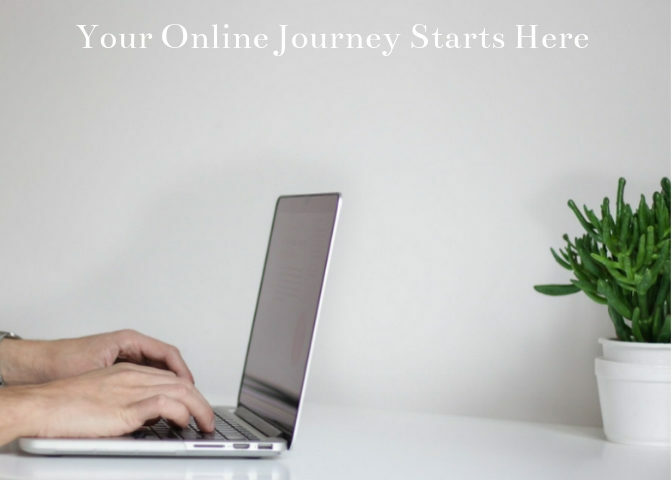 Compatible with online selling, Academy Pro comes with a pricing page, and a landing page where your readers will land after clicking one of your ads or links. Customize the look and feel of your site with any of the six available widgets. You can buy Academy Pro here. I love the layout of this theme. It’s simple, yet sophisticated. 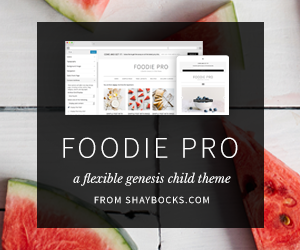 This awesome little theme is the baby sister of Foodie Pro. Enjoy the variety of color and font options, the minimalist style, and flexible widgets, including three homepage and four footer widget areas. 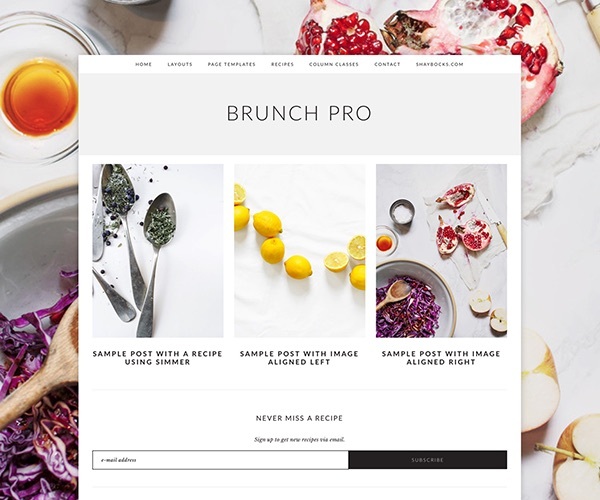 Brunch Pro also comes with an improved recipe index, and custom page, pre-made templates to design your site exactly how you want it. Grow your audience by highlighting your knowledge and expertise with this responsive and masterfully-constructed theme. Change the theme to fit your brand with the four widget areas, the theme customizer, and the customizable header. Authority Pro is also setup for WooCommerce, ideal if you’re selling products and services. It also comes with a landing and pricing page. This one’s for all you real estate agents and brokers out there. 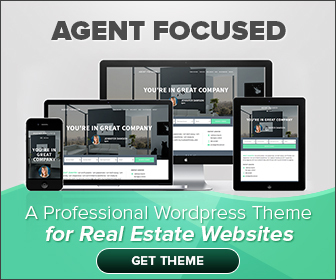 Show off your listings, your community, and your personality with this premium theme that includes a number of flexible widget areas and is plugin ready. Showcase all your listings with the AgentPress Listings plugin or integrate with your IDX service. Highlight your logo and company brand by customizing the header, and various layout options. Check out Agent Focused Pro. 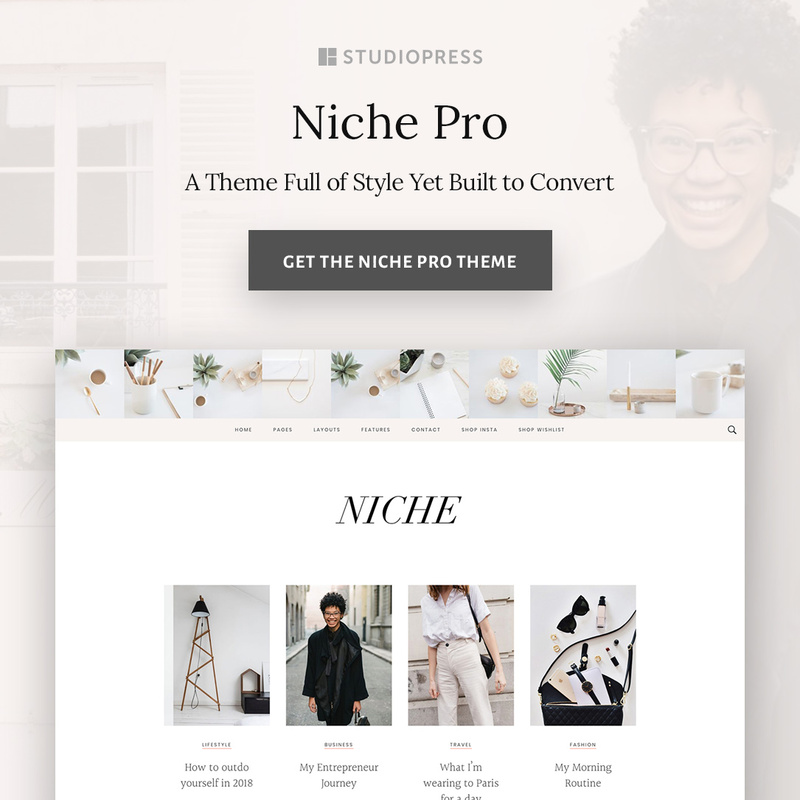 Niche Pro is one of my favorite StudioPress themes. I like the simplicity of the design, and find the layout and colors appealing. Of course, every feature can be customized to your liking, and to correspond to your brand. Niche Pro was designed with lifestyle bloggers in mind. Showcase your awesome content, drive traffic, and increase sales with the functionality of this theme. It’s WooCommerce ready, has a built-in “Read More” button, a full-width landing page template, and it integrates with email subscriptions. You’ll love this theme if your focus is social media marketing because it includes an optional floating Instagram feed, a built-in Instagram landing page, styled share buttons, and an Instagram widget. You’ll also get “Recent Posts,” “Subscribe,” and “Contact Form” widgets. As you can see this theme was designed to help you grow your business! There you have it, eight gorgeous StudioPress Genesis themes. You can demo each one before purchasing to make sure it includes the features you want, and that you like the general design. StudioPress offers some terrific themes. If you’re looking for a professional, premium theme, visit their extensive theme library to select one that’s appealing to you. Now get busy designing your dream site with one of StudioPress’s custom themes. Do you use StudioPress? Do you have a favorite theme? Please take the time to leave a question or comment below. It helps all those reading this post! Thanks for discussing this topic. Choosing just the right theme for my website has always been a concern of mine. It’s not good to be constantly changing themes, as it’s not good for the user experience. The themes you mention are really great and the price is reasonable. I’ll have to check them out. Thank you! Yes, I agree, themes are a big deal and it’s annoying to have to constantly change your theme to get your site to look the way you’re envisioning it. Genesis themes are easy to customize and the price is affordable. Again thank you so much for sharing these cool and chic themes for wordpress. I’ve been looking for some time now for a change in my theme. Also I’m trying to have a more professional look to it and add some articles to my portfolio. Ill be checking these out now, thanks again. For sure check them out. They’re both beautiful and functional! Hey there! Thanks for creating this review and guide. I’ve been looking for a new theme for one of my sites because its driving me crazy. Well, actually, I tend to use the same theme for all my sites and customize it to make each site look different. Am I able to do that with one of these themes? I know sometimes you have to get more licenses to use a theme on multiple sites which is one of my concerns with buying themes, heheh. Thanks for this. I’m going to bookmark it as a reference when I need to find a good theme for my sites. Marlinda, you can use the same theme for all your sites, and customize it to look different on each one. Thanks for commenting! I think I’ll get Brunch or Foodie. I really like both! You’re right, the support is an issue when using a free theme. Great choices, Brunch and Foodie are two of my favorite themes. You can demo them beforehand to see which you like best before purchasing. Have fun deciding. You can’t go wrong with either! Great info, I have a free theme on my website and it’s lacking a lot features as I have to pay to unlock all the premium features. My site looks very scattered. The problem is, I don’t have enough money to pay for a premium theme. Is there no better free theme I can use? I am prepared of course to pay for one in the near future. Experiment with a variety of themes to see if you can find one that meets your needs until you can afford a premium theme. Thanks for commenting!